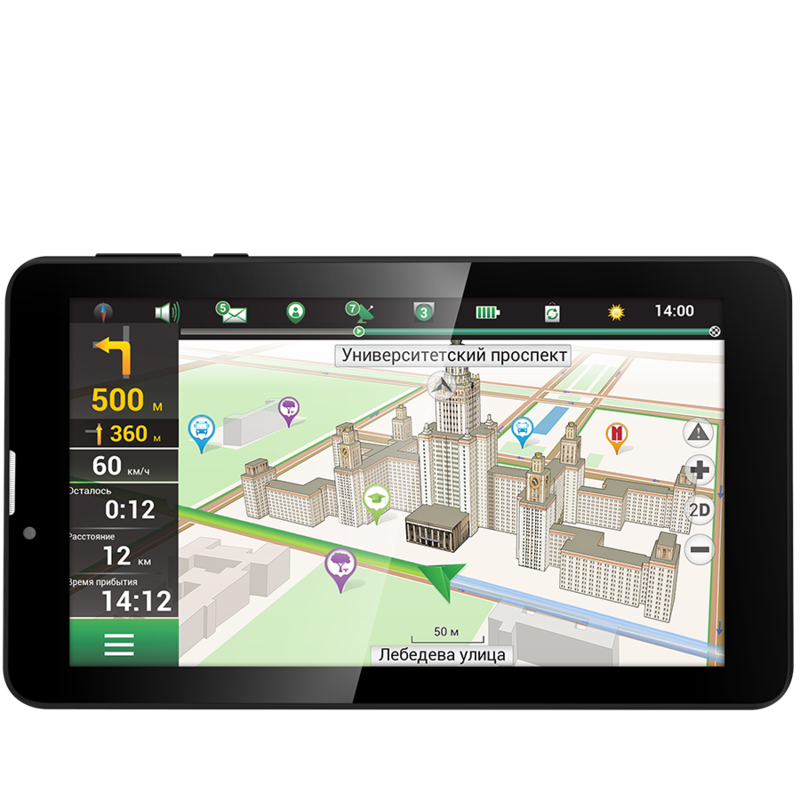 The Prestigio GeoVision Tour is a powerful navigator with 3D maps and Navitel navigation software. It provides full multimedia entertainment, 3G and Wi-Fi conectivity. Stay connected and receive live traffic data, use Navitel online services, browse the web and watch movies. The GeoVision Tour comes with millions of POIs pre-loaded. View Points of Interest around you and save new ones on the way. Petrol station, hotels, shops, ATMs, tourist attractions and much more. Receive all the latest features that the Android has to offer you and enjoy access to the official Play Store with more than 1.5 million apps, including the best from Google - Gmail, Drive, Photos and many more. Benefit from endless online possibilities which are faster with 3G and Wi-Fi connections. Receive live traffic data and save your time and money by avoiding traffic jams. Realistic junction views and lane instructions ensures that you make the right turn at the right time. GPS helps to prepare you for the next turn, displaying realistic 3D pictures to indicate your designated lane.